I must confess to being a little in love with the images in the Painted Harvest stamp set. The watercolour effect is so pretty. I'm a Van Gogh admirer from way back, and I think that's part of the reason why I'm so drawn to this set. Plus, what's not to love about sunflowers? 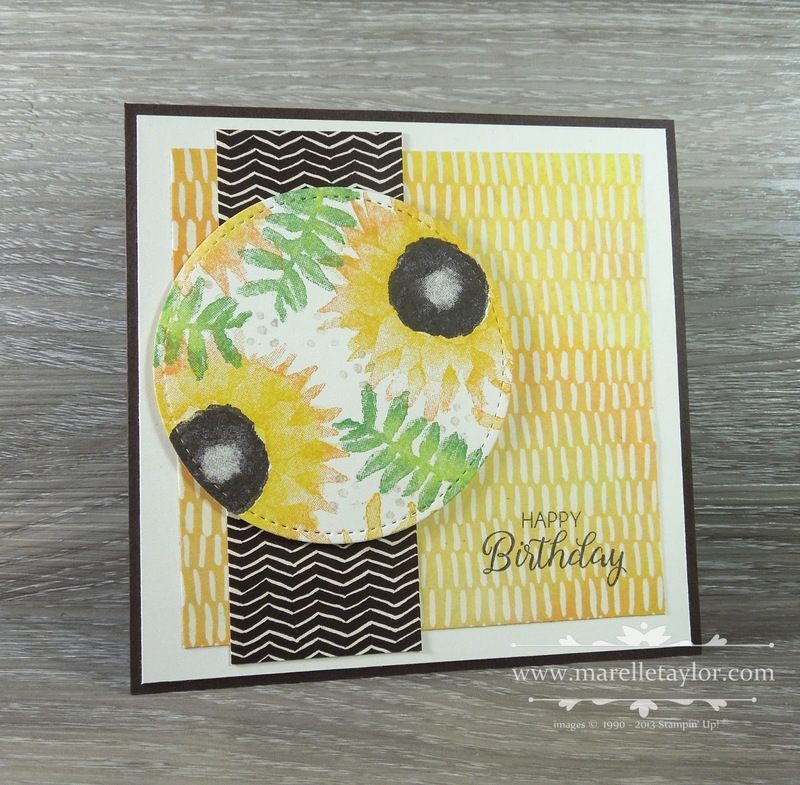 To make this card, I stamped a whole sheet of sunflowers and then cut them out with the Stitched Shapes framelits. I then just used a couple of sheets of the co-ordinating Painted Autumn Designer Series Paper, and a stamped sentiment and voila! One batch of cards in super-quick time.